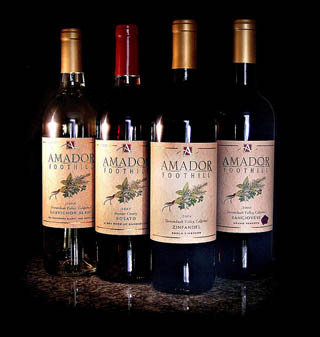 Since 1980, Amador Foothill Winery has produced wines with great balance, finesse, and value. How? By learning to read what is going on in each specific vineyard as the fruit matures. Amador Foothill estate vineyards produce premium fruit for our wines. For a winemaker there is no substitution for walking the vineyards, observing the conditions, and most importantly tasting the ripening grapes to determine when they are literally bursting with flavor. A winemaker’s job is to transform what nature provides, and Amador Foothill Winery’s wines have a sense of place and reflect the red granitic soils of our Shenandoah Valley Appellation. Our vision is that wines should be varietally true, tasting of their grape origins with a discrete use of oak for texture and complexity. The vivid fruit flavors of our white wines are balanced by crisp acidity, while the reds have concentrated fruit flavors backed with refined tannins. Stylistically, these are food- friendly wines that are specifically created to be paired with a meal!